Germany's Thyssenkrupp and Tata Steel signed a preliminary deal on Wednesday to merge their European steel operations, to create Europe's second-largest steel company. The two firms signed a memorandum of understanding to form a 50-50 joint venture in a non-cash deal. Negotiations about details are to be concluded in time for a formal signing of the transaction at the beginning of 2018, and the merger of the second- and third-biggest players in Europe will require approval from the companies' boards and from antitrust authorities. The proposed merger is the result of talks first disclosed more than a year ago. It would produce a company with revenue of about 15 billion euros ($18 billion) per year, shipments worth 21 million tons a year and, at present, some 48,000 employees. The move is also likely to lead to up to 4,000 job cuts. As per the memorandum of understanding (MoU) signed between the two, the proposed JV -- Thyssenkrupp Tata Steel -- would be headquartered in Amsterdam region of the Netherlands and will supply premium and differentiated products to customers. The two companies expect the deal to close by December this year or early next year. The companies expect to save between 400 million euros and 600 million euros ($479 million and $718 million) in costs per year by integrating activities including research and development. “We want to avoid our steel team restructuring itself to death,” Thyssenkrupp CEO Heinrich Hiesinger told reporters. “No one is able to solve the structural issues in Europe alone. We all suffer from overcapacity and that means that everyone is making the same restructuring efforts,” Hiesinger told broadcaster n-tv. 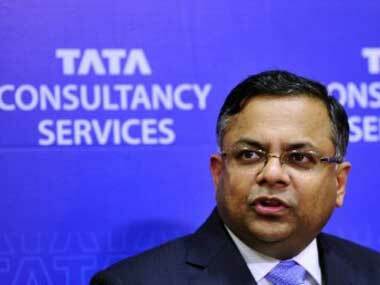 Meanwhile, Tata Steel said the deal will help the company grow faster and double capacity. 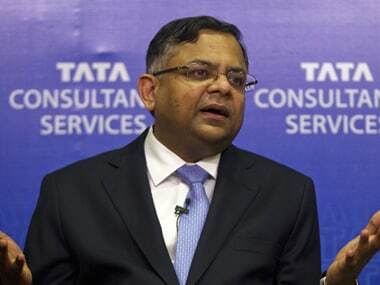 "Tata Steel India is in a strong position to grow faster and set to double its capacity through organic or inorganic route, post deal with Thyssenkrupp," Tata Group Chairman N Chandrasekaran said. According to him, the deal creates a strong and clean balance sheet, coupled with strong products and research and development capabilities to grow. What are the employee unions, governments saying? Dutch Prime Minister Mark Rutte welcomed the deal, saying on Twitter that it "will strengthen the leading role of Tata Steel IJmuiden as one of the most efficient and sustainable steel mills in the world." Officials in Germany, which holds an election on Sunday, responded more cautiously. Labor Minister Andrea Nahles said that sites in Germany must be maintained and compulsory layoffs ruled out, and that "there must not be a merger at any price." "It is important that, in the case of a merger, the company headquarters is in Germany" to preserve the current form of employee participation in company decisions, she added. In Britain, Business Secretary Greg Clark said the announcement was an "important step" for the steel industry. However, labor unions welcomed it cautiously. "As always, the devil will be in the detail and we are seeking further assurances on jobs, investment and future production across the U.K. operations," said Roy Rickhuss, the general secretary of the Community union. 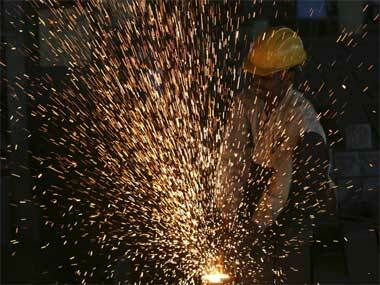 Tata Steel shares have risen 1.8 percent after the announcement of the deal. On Wednesday, shares in Thyssenkrupp AG rose 3.9 percent in Frankfurt. Analysts are of the view that the merger is an effort to consolidate the industry, which has long struggled with excess capacity and competition, particularly from China. Anjani Kumar Agarwal, partner and national leader – metals and mining, Ernst and Young, said consolidation in the steel industry augurs well for the business as steel industry is relatively fragmented compared to its global suppliers of iron ore, coking coal as well as customers. "For example, in the value added innovation led product segments customers are truely global OEMs," he said. He says the trend of regional consolidation is quite profound pointing to four large combinations in China and Arcelor Mittal acquiring ILVA, Italy's largest producer. "Synergy numbers stated are a reflection of the reality of the environments the companies are operating in. The combined business, when well integrated, will emerge stronger riding on R&D, advanced technologies, integrated supply chains, differentiated products, complementary markets and customers,” he said. Meanwhile, HDFC Securities, which has a buy rating for Tata Steel, says the joint venture implies significant derisking of the company's operations from volatility in Europe and reduction in net debt (2.5 billion euros). 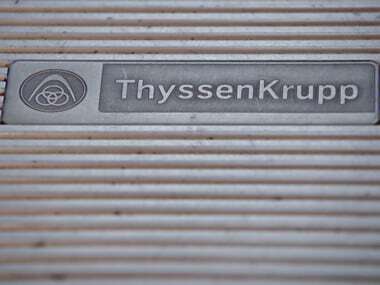 Thyssenkrupp moves another step towards shedding all its materials/commodity businesses, the brokerage said.